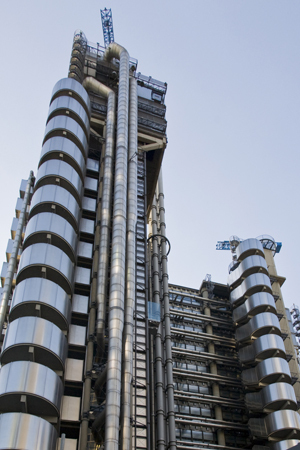 • London’s iconic Lloyd’s Building (also known as the ‘inside out’ building thanks to a design in which utility pipes, lifts and stairways are exposed on the outside) has been listed as a Grade I building, becoming the youngest building to be granted such status. John Penrose, Minister for Tourism and Heritage, made the decision following advice from English Heritage. Roger Bowdler, English Heritage’s designation director, said he was “delighted” at the decision. “Its listing at the highest grade is fitting recognition of the sheer splendour of Richard Rogers’s heroic design. Its dramatic scale and visual dazzle, housing a hyper-efficient commercial complex, is universally recognised as one of the key buildings of the modern epoch.” The futuristic-looking building is one of very few post war buildings to be protected with a Grade I listing. Construction of the tower started in 1981 and was largely completed by May 1984. It was occupied two years later. As well as its futuristic exterior, the building also features a nod to the past with the Adam Room, which dates from the 1760s and was moved here intact from which was moved from Bowood House in Wiltshire. The building is also home to the Lutine Bell, which comes from a French frigate captured by the British in 1793, and was rung to herald important announcements (today these are generally only ceremonial). The history of Lloyd’s goes back to 1688 when it’s believed the first Lloyd’s Coffee House opened in Tower Street. • More than 700,000 objects in the care of the National Trust can be accessed virtually via a new online database. The database, accessed via www.nationaltrustcollections.org.uk contains details of more than 700,000 objects – everything from artworks by Gainsborough to a laudanum bottle containing remnants of poison and the cotton underwear of a grocer – currently housed at more than 200 properties as well as in storage or on loan to other organisations. 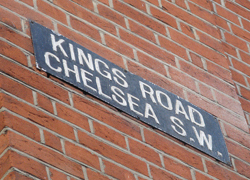 Highlights include a costume made from beetle wings for the actress Ellen Terry, an early anti-aging ‘machine’, a furnished Victorian dolls house from Uppark House in West Sussex, and a Bible reputed to have been used at the execution of King Charles I from Chastleton House in Gloucestershire. The database has been in development for 15 years and the work to develop it will continue. • A 1,100-year-old collection of Viking Age objects including silver arm-rings and brooch fragments and coins from the Silverdale Hoard – found in Silverdale, Lancashire, in September – has gone on display in room 2 of the British Museum until early in the New Year. Among the 200 objects in the hoard is a type of coin not seen before and bears the inscription Airdeconut which appears to be an early attempt to represent the name Harthacnut. Lancaster City Museum has reportedly expressed an interest in acquiring the hoard. For more, see www.britishmuseum.org.